Our mission is to promulgate the Gospel message that all of God’s children matter and cannot be forgotten. We will compassionately demonstrate the hope that comes from our Catholic Christian faith and from God’s love for those incarcerated. The U.S. represents 6% of the world’s population and currently imprisons 25% of the world’s incarcerated. 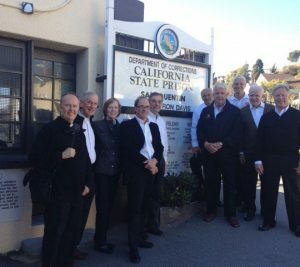 The entrance gate at San Quentin State Prison in California with the Apostolate Board. We share our faith in the Gospel and the mercy of Christ with the incarcerated.We support those who struggle to return to free society by helping them to become reconciled with the world, their families and their victims. We work for humane, effective and Christian treatment before, during and after incarceration. 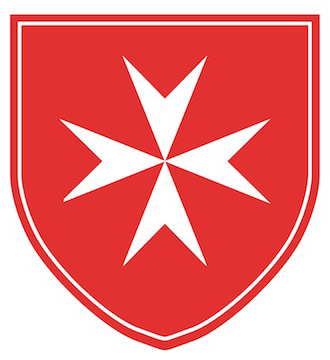 We support the prison chaplaincy staff and volunteers who vigorously attend to the spiritual needs of the incarcerated.